Walk up and High-rise tower offering a variety of layouts. Located in the Bonnie Doon neighborhood. On the corner of Connors Road & 85th Street. Walking distance to Bonnie Doon Shopping Centre and Vimy Ridge Academy. Easily accessible to public transportation. High-rise tower designated for adult living and walk up buildings suitable for all. The High-rise tower is wheelchair accessible equipped with 2 elevators and underground parking. Heat, water and electricity are all included in rent. Walk up buildings include heat, water and one energized parking stall in rent. All suites include storage room, fridge and a stove. Multiple layouts available from bachelor to 2 bedroom bi-level. Additional outside & underground parking available for a monthly charge. Sir William Place is on the corner of the established neighborhood Bonnie Doon. 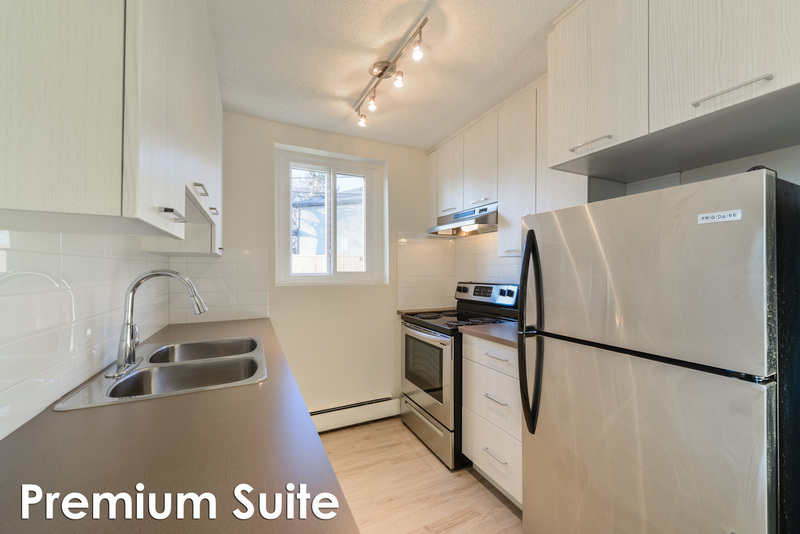 A short commute to both Downtown and Whyte Avenue. Walking distance to the Edmonton public library. Cats are welcome with a $25 monthly pet fee (per pet) pending approval of pet application.